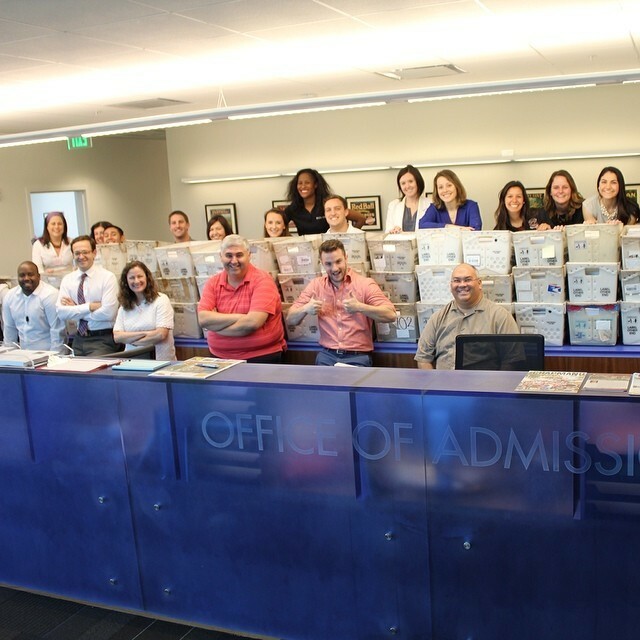 Post to twitter or instagram with #ChapmanU2018 to see it appear here! Hope you had fun! 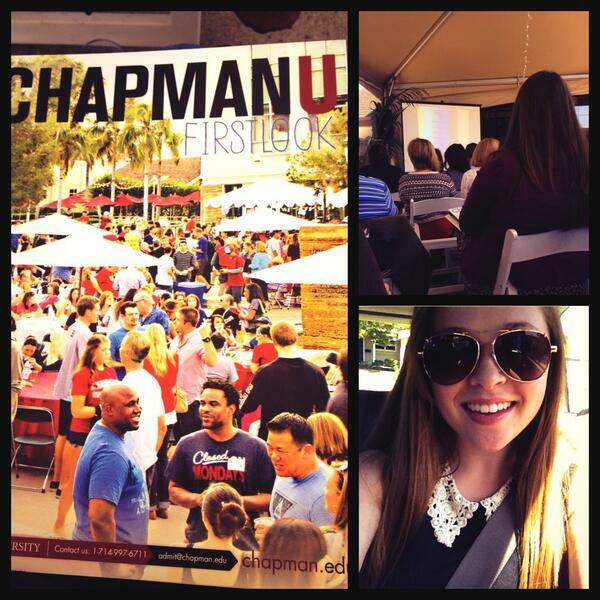 #ChapmanU2018 "@itscaitlynemily: Meeting my future classmates #excited @ChapmanAdmit @ChapmanU http://t.co/ePmuuA44BT"
Amazing, love the Panther Pride! "@AlexaAbadee: @ChapmanAdmit @ChapmanU don't you love our #chapmanu2018 cake? http://t.co/LT4UmfRzgJ"
Welcome to the Panther family! 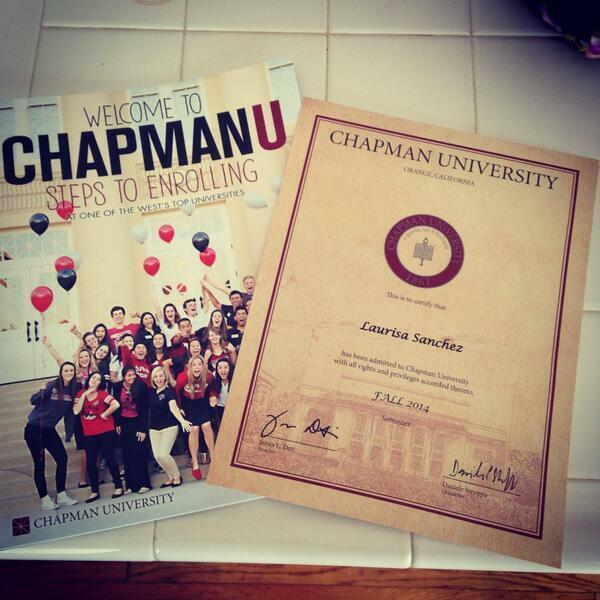 #ChapmanU2018" @twinstereva: @ChapmanAdmit Got one yesterday! 😄🎉"
Welcome to the Panther family! #ChapmanU2018" @twinstereva: @ChapmanAdmit Got one yesterday! " Congrats, fortune cookies never lie! 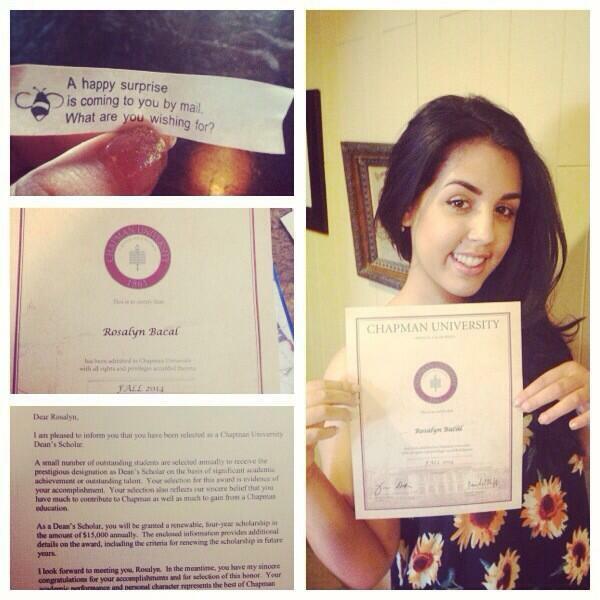 #ChapmanU2018 "@RosalynBacal: The fortune cookie worked! 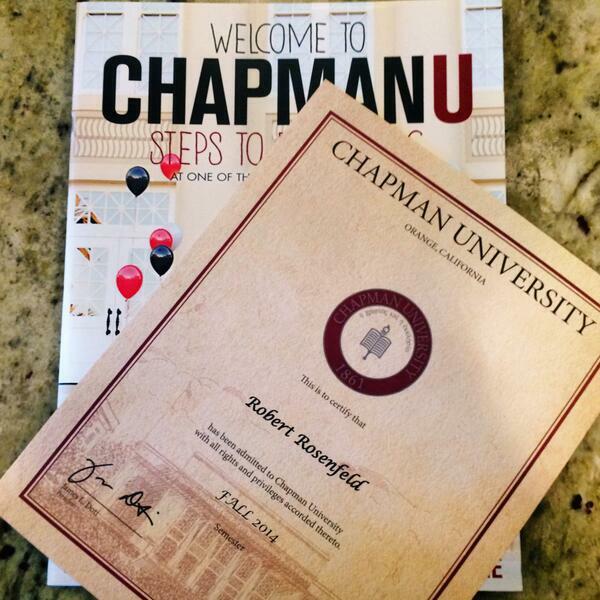 @ChapmanAdmit #ChapmanU http://t.co/d6vQ9V7bBx"
Congrats, Robert! "@robertrosenfeld: The long wait is finally over!  @ChapmanAdmit @ChapmanU #ChapmanU2018 http://t.co/WFRbMNSqbO"
Awesome, congrats! Welcome to the Class of 2018 #ChapmanU2018 "@laurisa_ann: @ChapmanAdmit too excited for words! 🎉 http://t.co/HMKCEgXu69"
Awesome, congrats! Welcome to the Class of 2018 #ChapmanU2018 "@laurisa_ann: @ChapmanAdmit too excited for words! http://t.co/HMKCEgXu69"
Congrats #ChapmanU2018 "@kaori_t101: got an acceptance email from @ChapmanAdmit i'm not too sure if this is real life or not #crying"
Congratulations and welcome to the Class of 2018 #ChapmanU2018 "@alexmamoga: still cant believe i was accepted to @ChapmanAdmit!" Congrats and welcome to the Class of 2018 #ChapmanU2018 "@PhineHarrer: I'm becoming a panther!!! 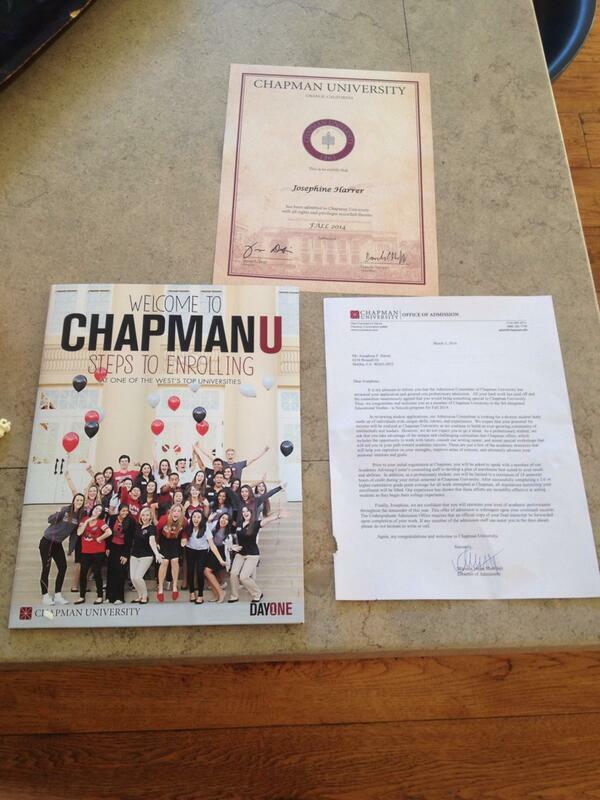 👍😍 @ChapmanAdmit http://t.co/FsUq181LQs"
Congrats and welcome to the Class of 2018 #ChapmanU2018 "@PhineHarrer: I'm becoming a panther!!! @ChapmanAdmit http://t.co/FsUq181LQs"